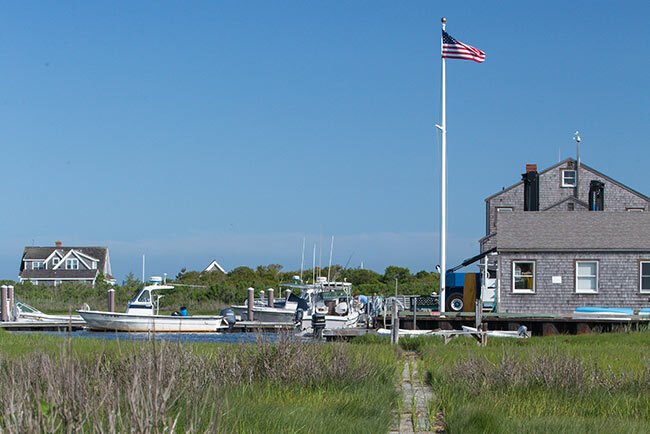 The first program of its kind in the United States, the Nantucket Islands Land Bank was conceived by Nantucket’s Planning Commission, adopted by the voters of Nantucket, and established by a special act of the Massachusetts Legislature in 1983. The Nantucket Islands Land Bank is a land conservation program created to acquire, hold, and manage important open spaces and endangered landscapes for the use and enjoyment of the general public. Since 1983, the Land Bank has served as a model for communities across the country. Due to the success of these efforts, as well as those of other public and private conservation groups, nearly half the island is now permanently protected open space. The Land Bank’s revenue is derived from a two percent fee which is levied against most real estate transfers on the island. This funding is used to acquire and manage land for open space, agriculture and recreational uses. The Land Bank is governed by a five member elected Commission. Today, close to half of Nantucket Island is preserved as open space — a laudable accomplishment. The Nantucket Islands Land Bank is just one of several organizations, including the Nantucket Conservation Foundation, The Nantucket Land Council, The Massachusetts Audubon Society, The ‘Sconset Trust and others that maintain Nantucket’s vital and pristine open spaces. Open space is beneficial for the island in many ways. It provides areas for people to enjoy, helps to maintain habitat for hundreds of species, and helps to protect the island’s aquifer by providing ample unspoiled acreage for rain and snow water recharge — our sole source of drinking water. Open space also benefits seasonal and year-round residents of the island by helping to maintain property values and by keeping property taxes low. Several economic studies have shown that preserving open space has a positive economic impact on a given community. As a public body established through an act of the Massachusetts legislature in 1983, we value public input and questions. Feel free to contact us or stop by our office any time.